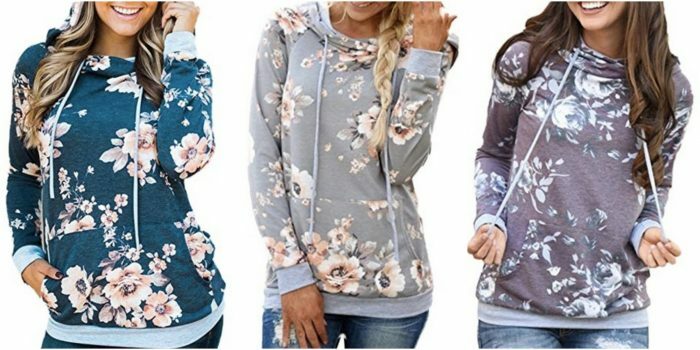 Amazon has this Women’s Floral Printed Casual Long Sleeve Hoodie Pullover Sweatshirt for just $19.99 right now! This highly rated sweatshirt features floral prints, a drawstring hood and two pockets! Choose from several cute color options. Looking for more frugal clothing? 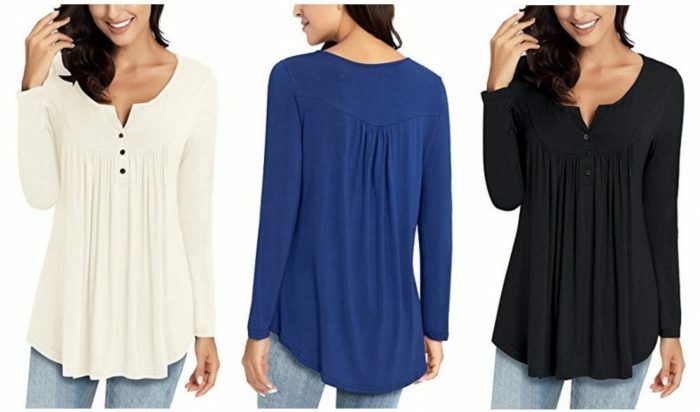 Get this Women’s Casual Long Sleeve Henley Shirt Button Tunic Top Blouse for only $16.99 right now! 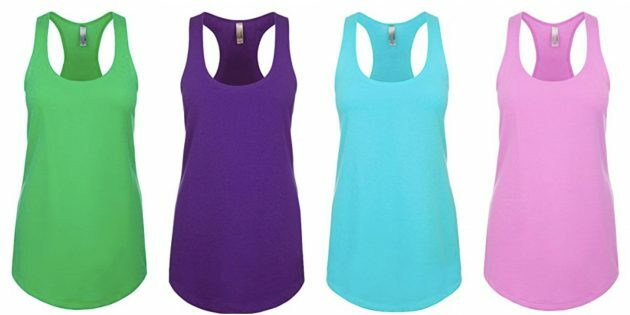 Get this highly rated Next Level Women’s Tank Top for only $4.85 shipped! 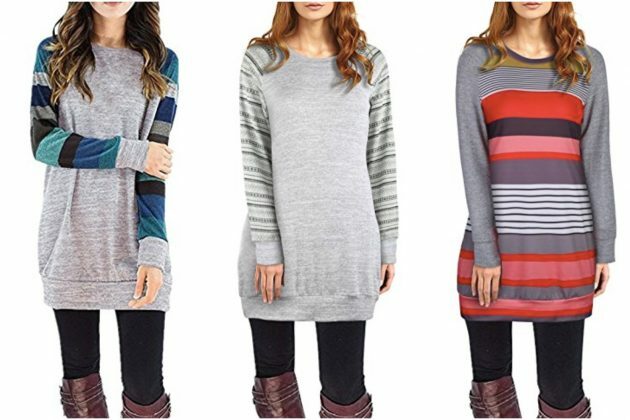 Get these highly-rated Women’s Long Sleeve Round Neck Patchwork Casual Shirts as low as $12.74 after you clip the 15% off e-coupon! There are several different colors to choose from. 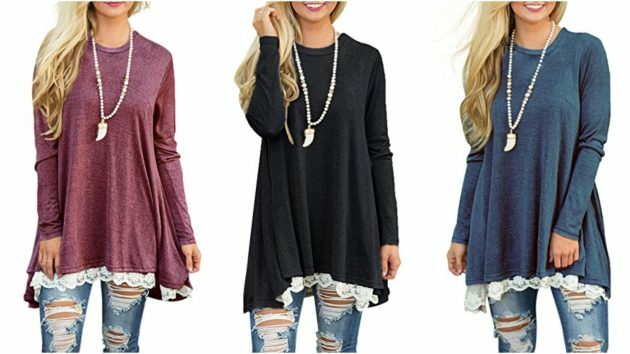 Get this Women’s Lace Long Sleeve Tunic Top Blouse as low as $12.99! 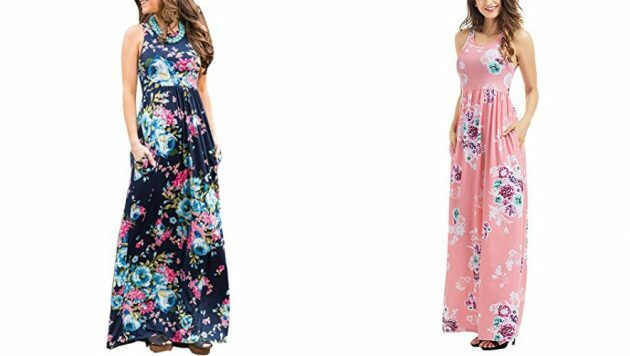 Get this Women’s Casual Sleeveless Boho Floral Print Beach Party Long Maxi Dress as low as $15.99 right now! 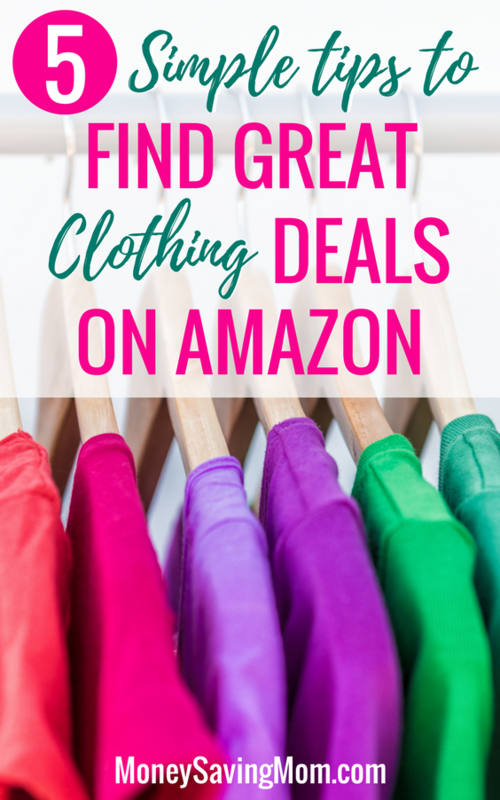 You can also check out some of my seasonal Amazon clothing favorites plus read about my top tips for finding great clothing deals on Amazon! « One A Day Men’s Health Formula Multivitamin, 250 count only $7.16 shipped! In my experience, not all of these with the same pictures are created equal. I ordered a Sanifer lace tunic in one color from one seller, and it was great, I ordered the “same thing” in another color from another seller, and it wasn’t even worth keeping. I would lean towards buying items that are well reviewed or that have free returns.